Staying safe in your workplace shouldn’t be much of a challenge. As long as your employer has a good safety and evacuation strategy in case of an emergency. Sitting at a desk might give you eye fatigue or a repetitive strain injury. However staying safe at high-risk workplaces is a completely different story. Emergency responders, construction, road and utility workers all work in high risk environments which require them to stay alert at all times. What’s common for all of these job roles is the exposure to public road traffic and low visibility hazards. And the need to wear reflective workwear clothing so their job doesn’t cost them their lives. Yet, we hear too often about terrible tragedies that occur due to non-compliance. That’s why its so important to wear high vis workwear. Why is it so Critical to Wear High Vis Clothing? Low visibility conditions do not mix well with hazardous road-side working environments. That’s where high vis clothing can save the day – and night, respectively. Fluorescent colours and reflective tape is what makes a reflective safety vest easy to see against any background. The fluorescent colours are there to enhance visibility during the day and the reflective tape will keep you safe at night. Janice Comer Bradley, International Safety Equipment Association’s technical director stresses how vital it is to deal with low-visibility hazards. The American National Standards Institute has published the standard ANSI/ISEA 107-2015. The standard approves three classes of garments for the safety of workers exposed to greater risks. The result is the reduced risk of accidents and fatalities. Hi vis workwear can also help you identify unauthorised individuals in your workplace. These individuals can then be removed from restricted areas. Also, having distinct uniforms can help locate workers fast in emergency situations. Aside from looking professional, high vis clothing can enhance your corporate identity . Include your logo on workwear, that way employees represent your brand wherever they go. Injuries and fatalities continue to be a problem on highways and in construction zones where site vehicles pose a threat to the workers. Yet, some people are still taking high vis protection too lightly. Largely because of the erroneous ”it can’t happen to me” philosophy and a lack of knowledge of the extent of the problem. The following stats will prove the reluctant and non-compliant workers wrong. 2013 Safe Work Australia’s Report of Work-Related Traumatic Injury Fatalities reveals that vehicular accidents accounted for two-thirds of fatalities in the period from 2002-2013. Also, Australia reported that from 2007 to 2016 64% of all worker fatalities resulted from vehicle-related incidents. Over 38% of those were due to a vehicle collision on a public road. Around 11% were hit by moving objects and 5% were trapped by moving machinery. Vehicular accidents are the number one cause of deaths in Singapore in 2018. As unsettling as it may sound, America reported that 45% of highway contractors had motor vehicles crash into their construction zones in 2015. You must have got the picture by now. We’re sure all of us, whether you are a worker or employer, want to avoid being another grim statistic. Our advice is to choose top quality safety workwear. Give your workers high vis wear so they can focus wholeheartedly on their work. If your workplace poses any kind of low-visibility risk, you should make high vis gear compulsory. You are obligated by law to adhere to safety regulations and so are your employees. 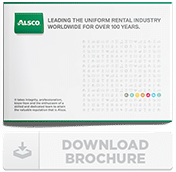 If you engage with Alsco, you won’t have to do it all by yourself. We offer a range of quality high vis workwear for rent. This time and money-saving opportunity to rent your safety wear will have a knock-on effect for your business. We’ll deliver compliant, fresh and clean high vis garments right to your door. You will no longer have to worry about regulations, cleaning, maintenance and repair. We’ve got it covered so you can focus your efforts on other areas of your business. Give our friendly and knowledgeable team a ring, we’ll go the extra mile to find the right high vis garments specific to your workplace.